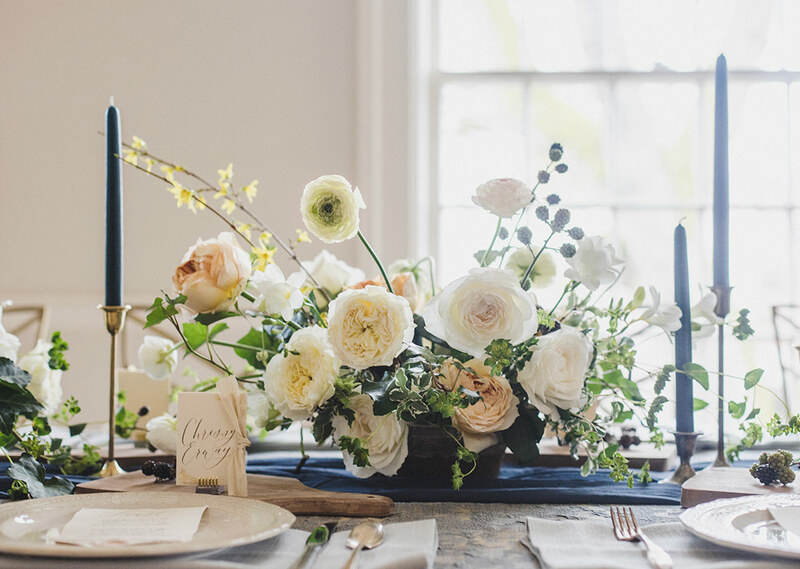 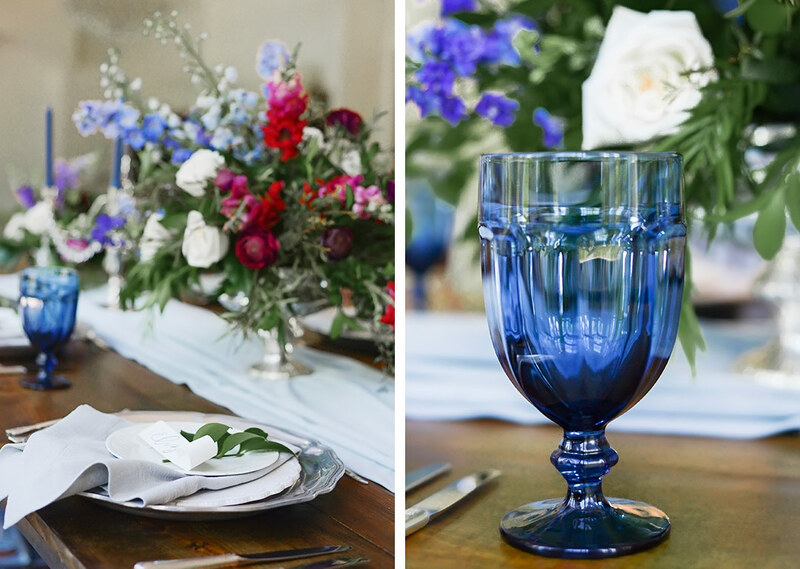 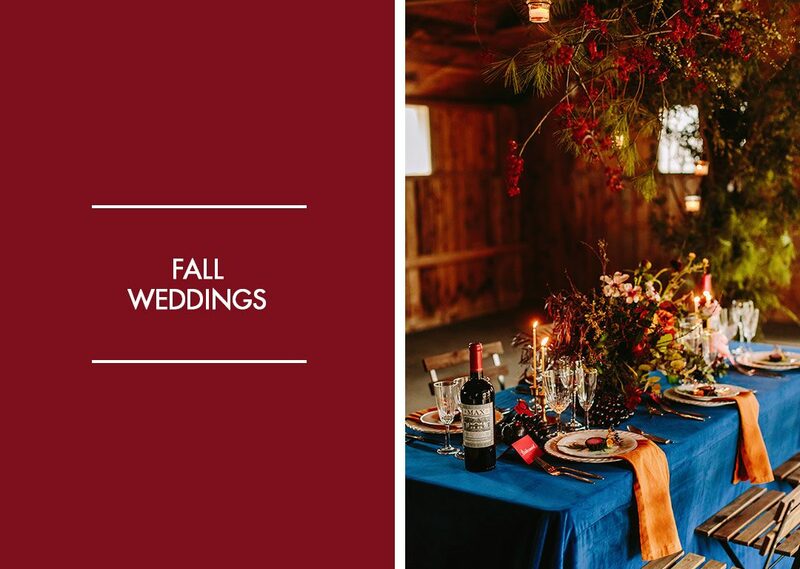 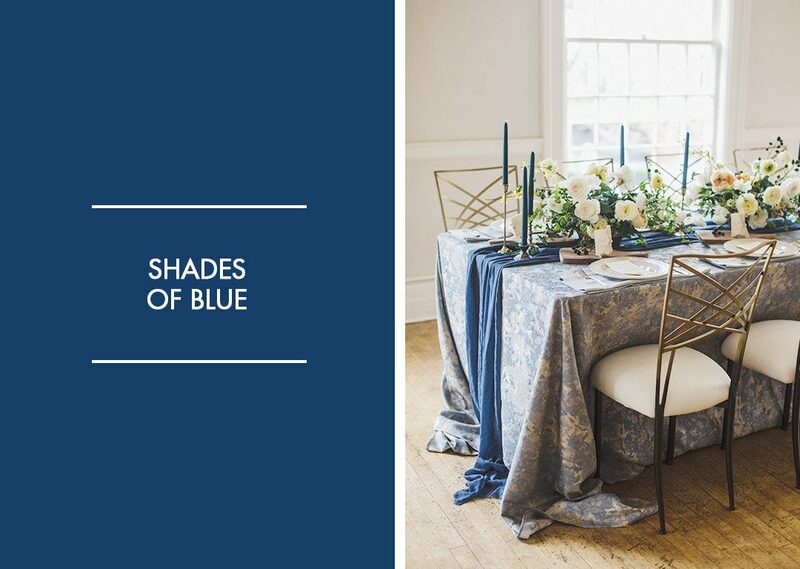 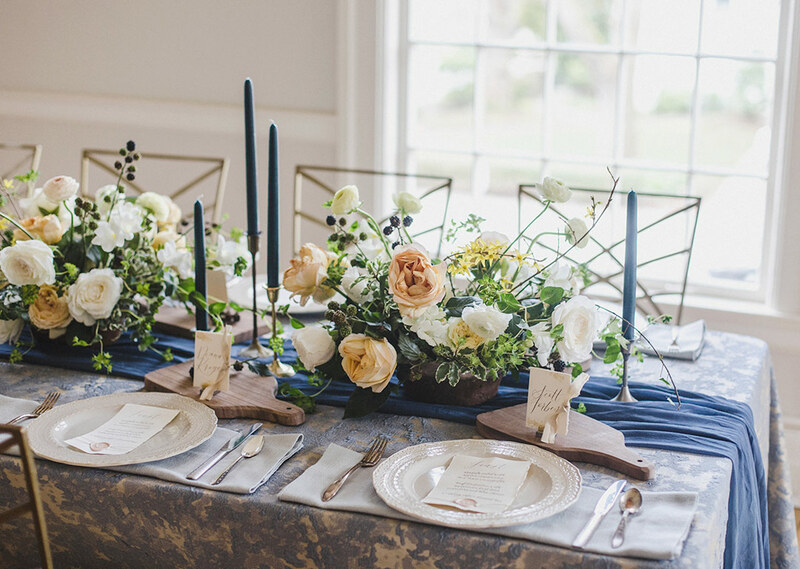 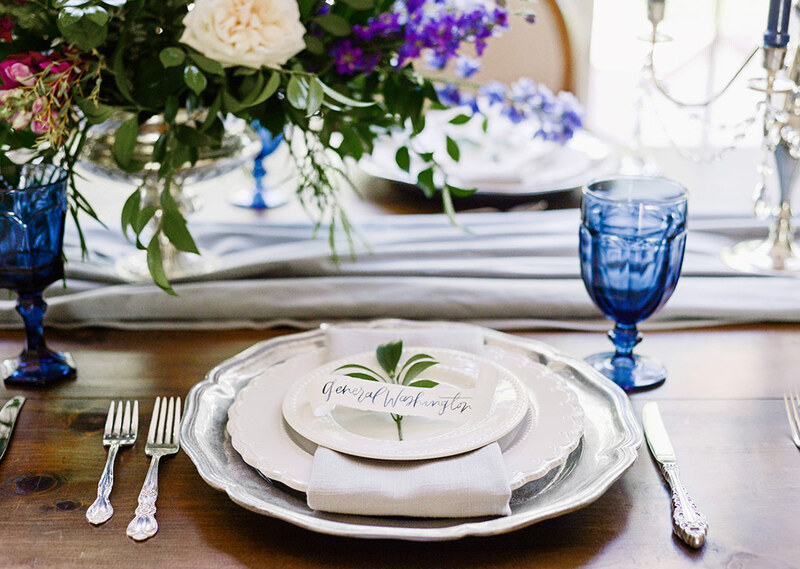 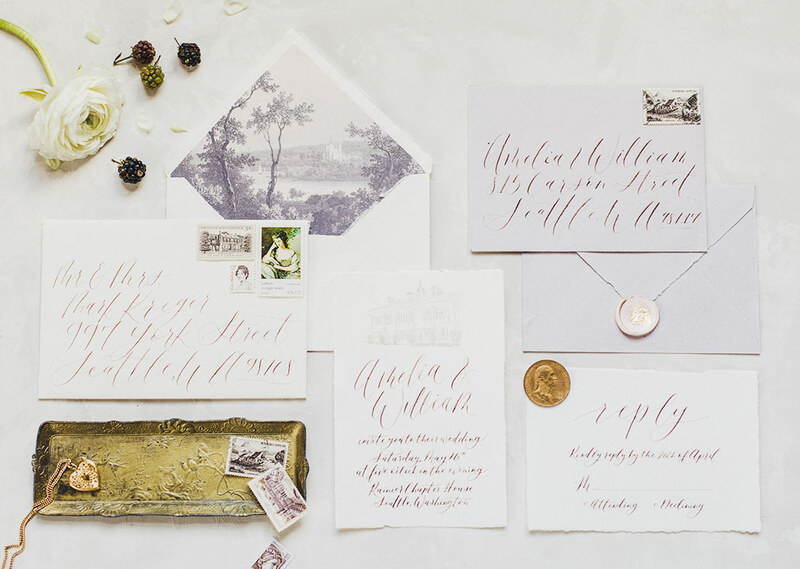 Working with a blue palette and inspired by tradition a la Hamilton, Green Pearl Photography put together this lovely design, perfect to inspire a fall wedding. 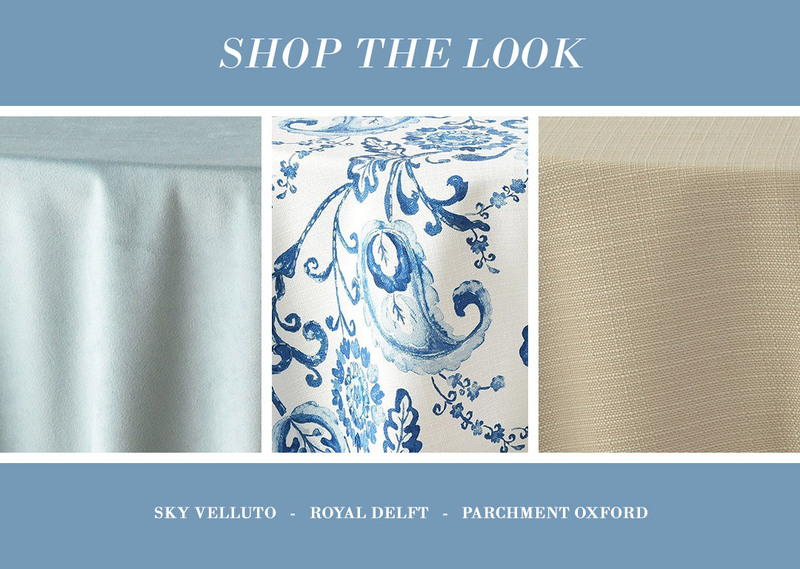 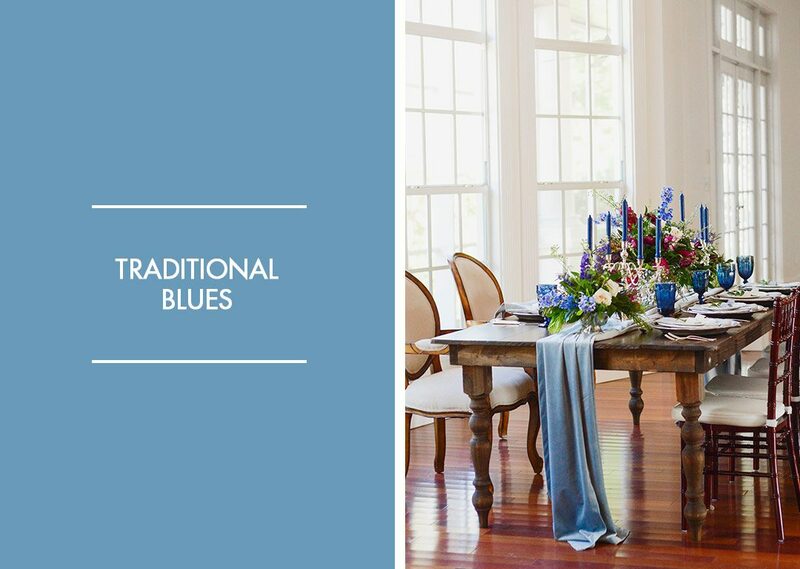 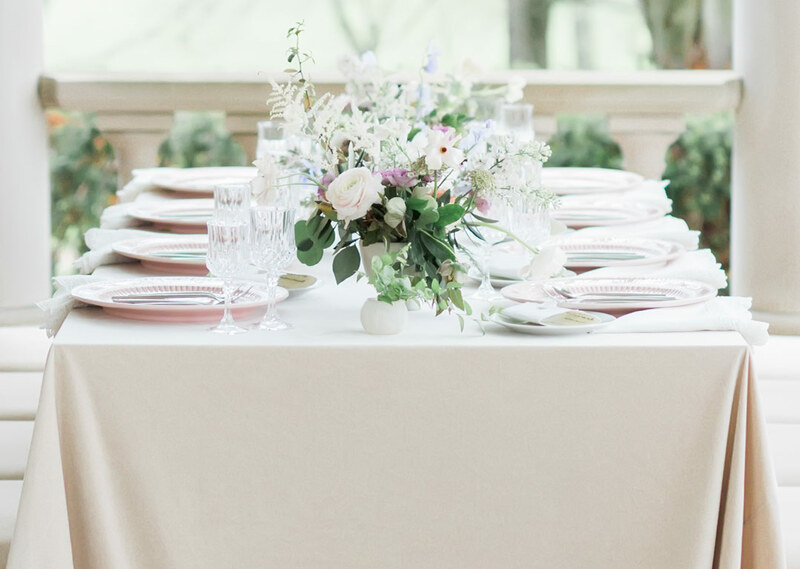 Our Sky Velluto runner was set against a wood table from RW Style, setting the perfect place for dinner. 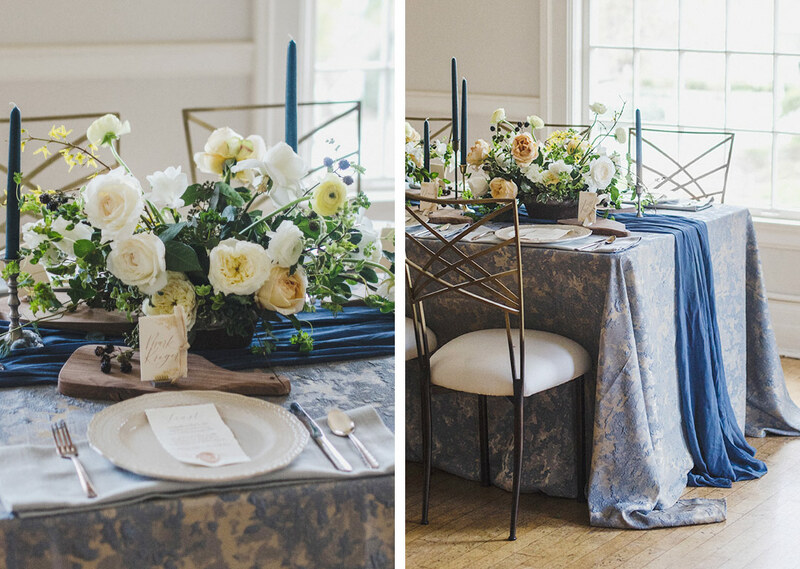 Running the length of the table alongside our velvet-inspired runner were lovely arrangements from Flowers by Lesley. 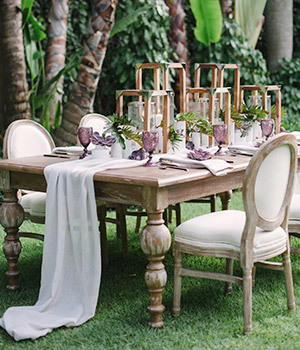 To really give the design that traditional look, chairs from RW Style were brought in a set of wood-based styles. 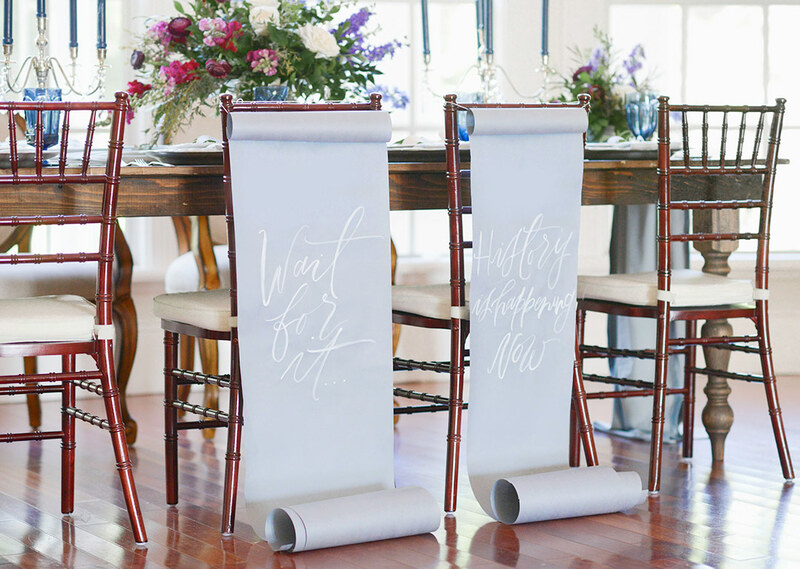 Paired alongside the French-country inspired style seating, Green Pearl Photography brought in two scrolls to use as chair backs – such a creative piece of decor! 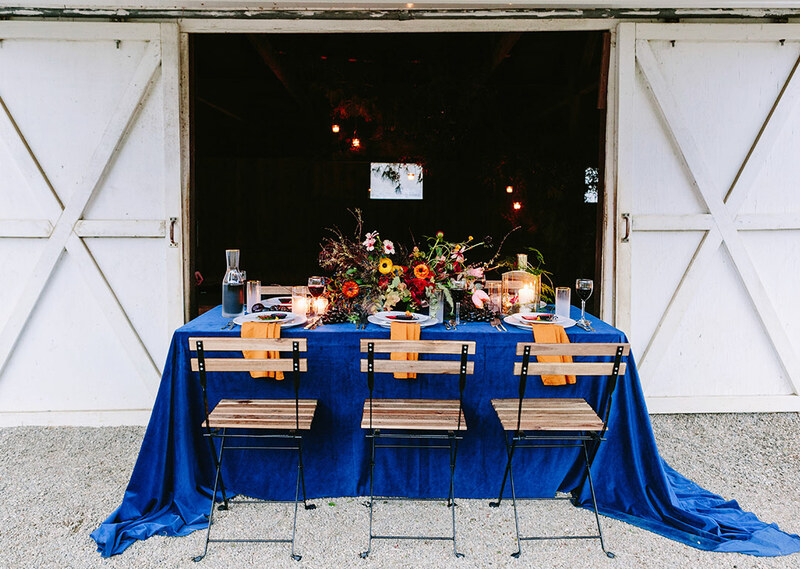 And the venue couldn’t have been more perfect! 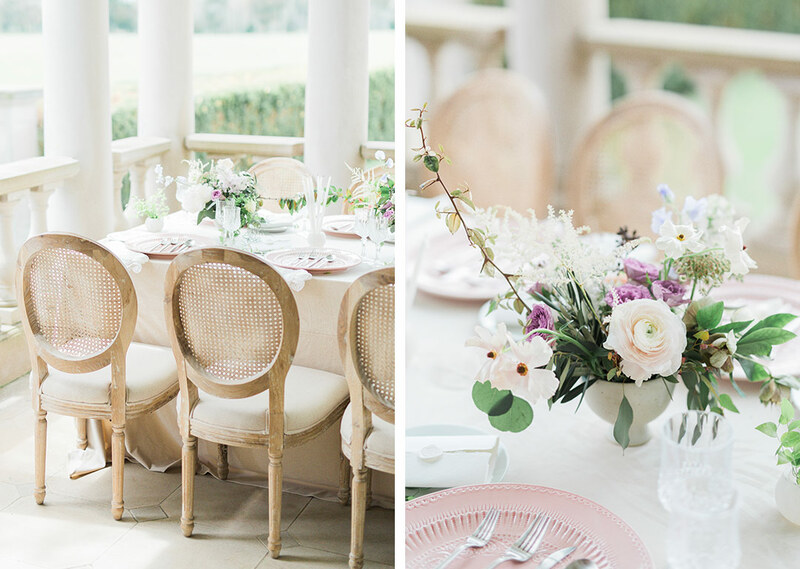 Luxmore Grande Estates in Winter Springs, Florida it’s a gorgeous venue. 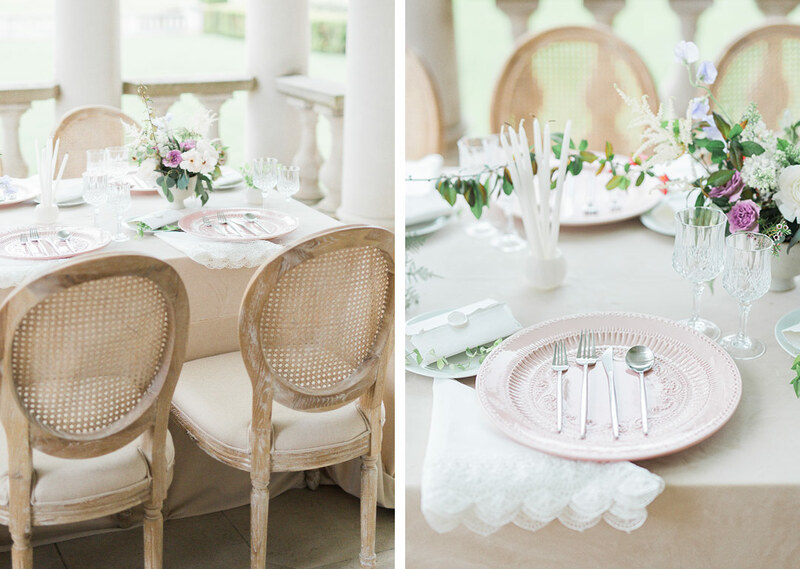 We’re in love with all the details – from sky-high windows to sparkling chandeliers. 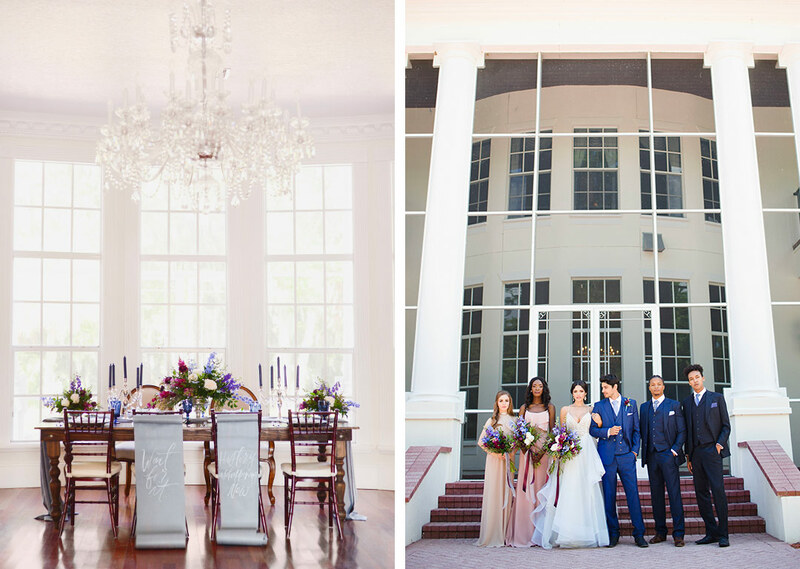 Would you head to Central Florida for this stunner of a venue? 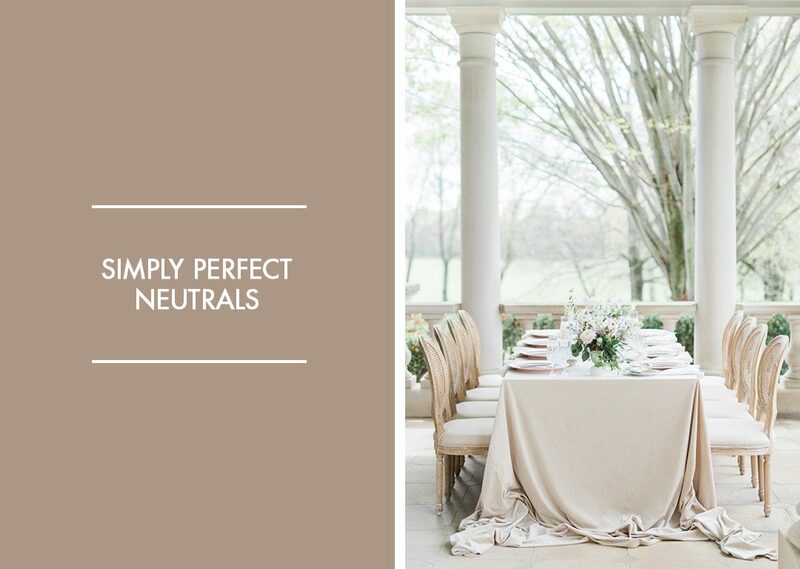 We’re certainly there! 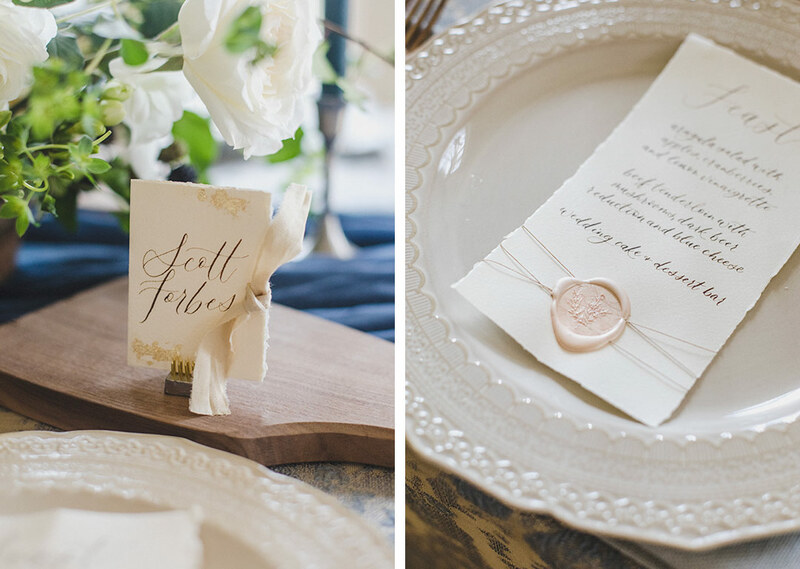 With this design, for the DIVERSIFY Workshop, it was about playing with texture and giving a simply perfect natural palette a really rich look and feel. 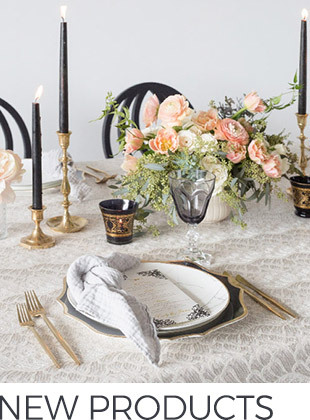 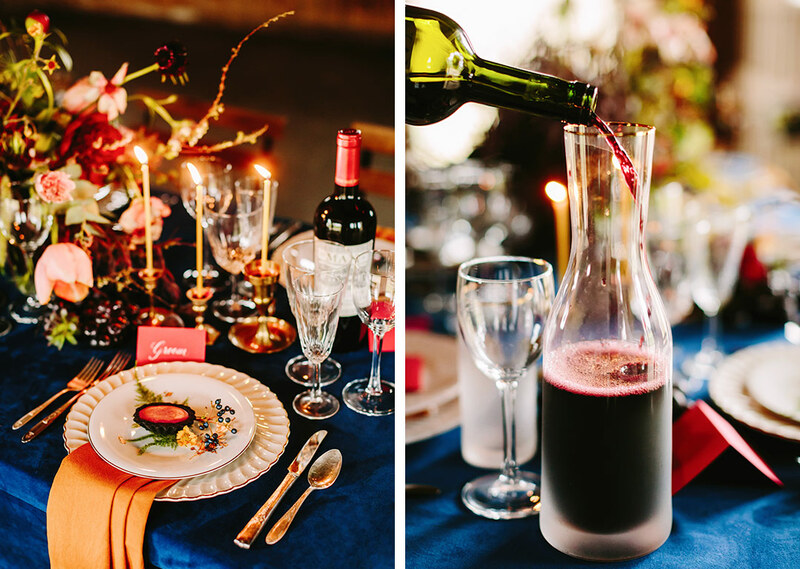 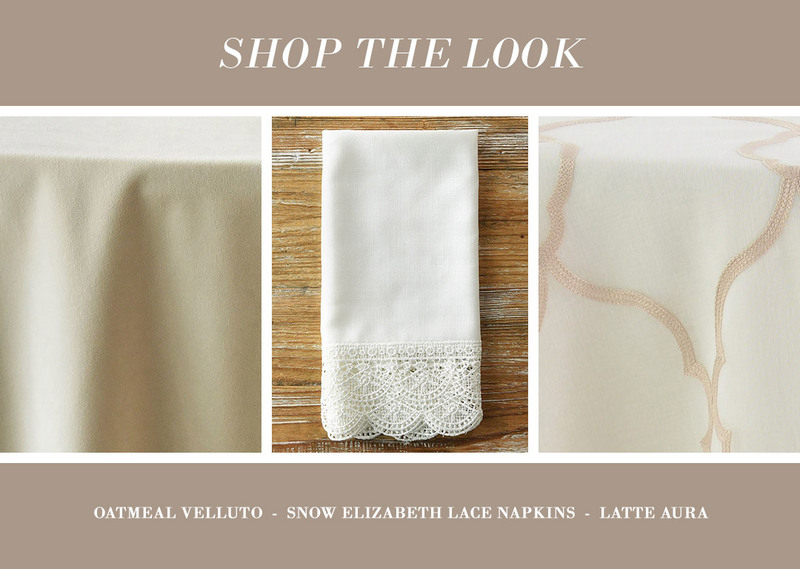 Claire Duran Weddings and Events set the table with our Oatmeal Velluto, a velvet-inspired fabric that is just the thing for a shift into cooler seasons. 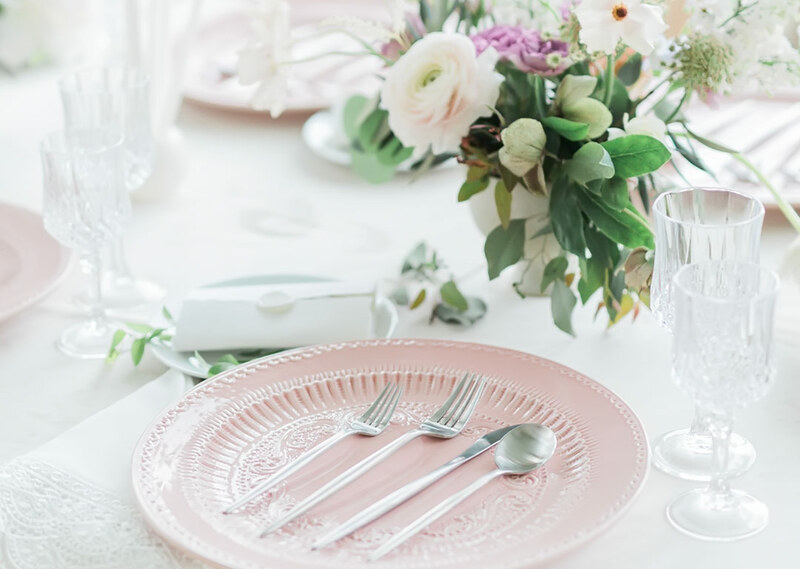 We love how this minimal look had a classic flair, with accents from our Snow Elizabeth Lace napkin and lovely pink chargers from White Glove Rentals. 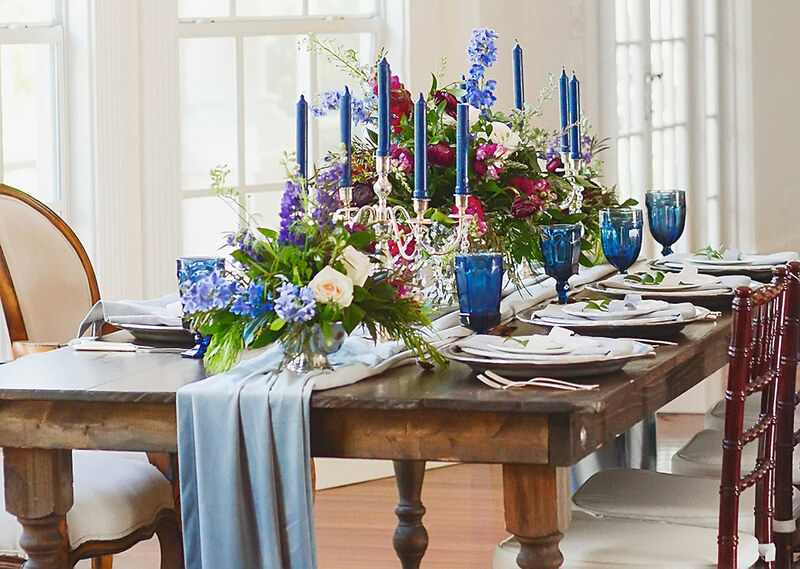 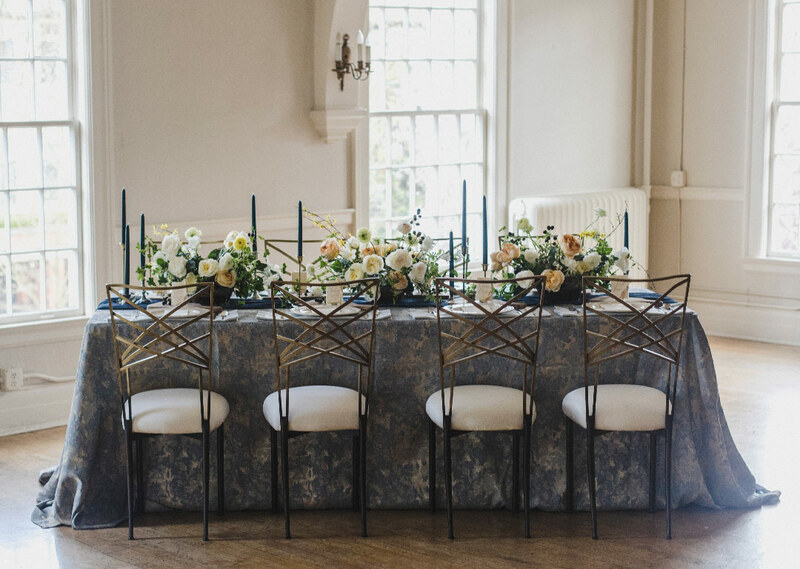 Add to that these French country chairs, from White Glove Rentals, and the most delicate flowers, from Casa Delirio, and this comes together for a truly lovely look! 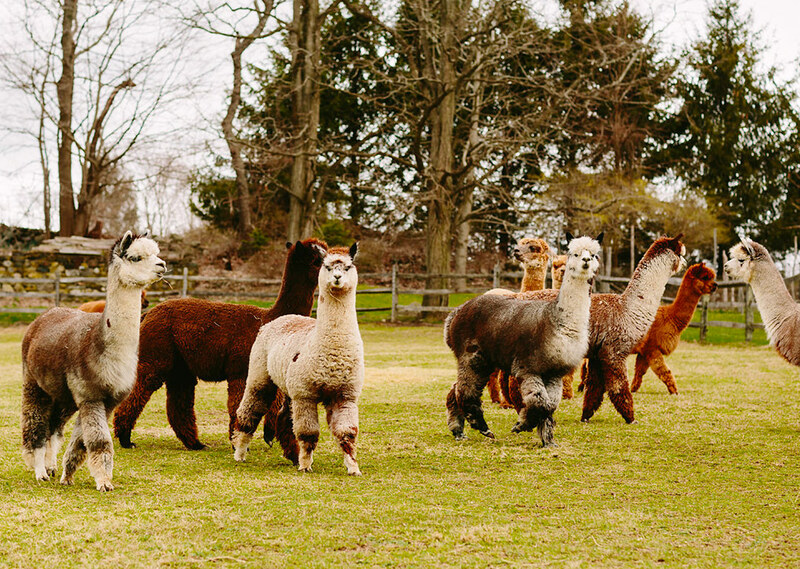 Oh and did we mention the venue? 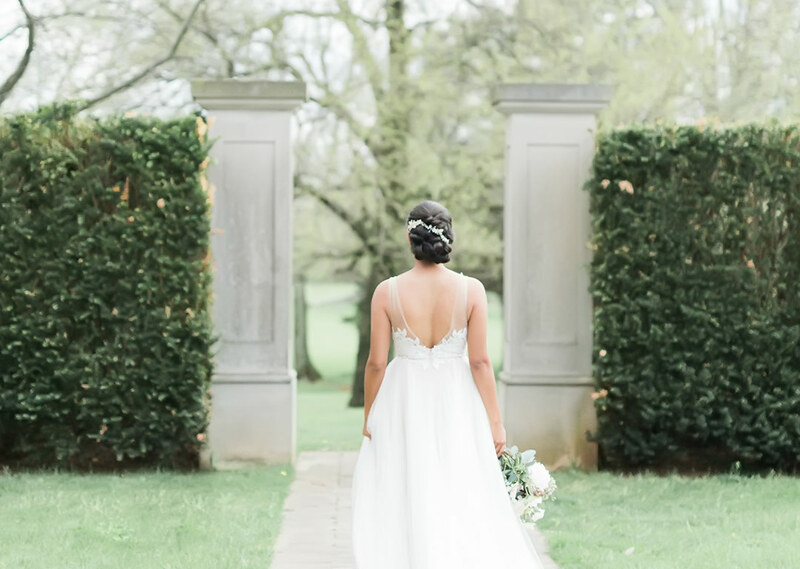 Because Great March, with its front porch with columns and surrounded by a beautiful lawn could not have set a better scene! 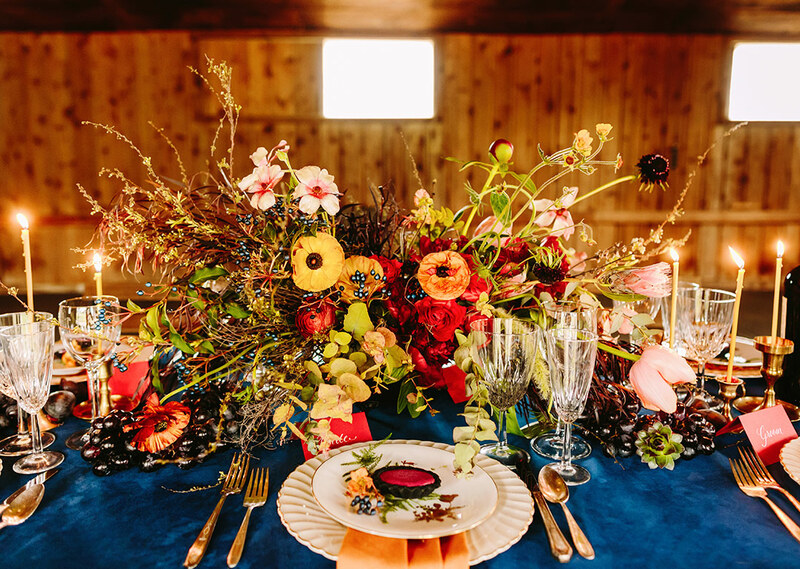 This design, captured so perfectly by Hannah Bjorndal, has us ready to slow down for fall. 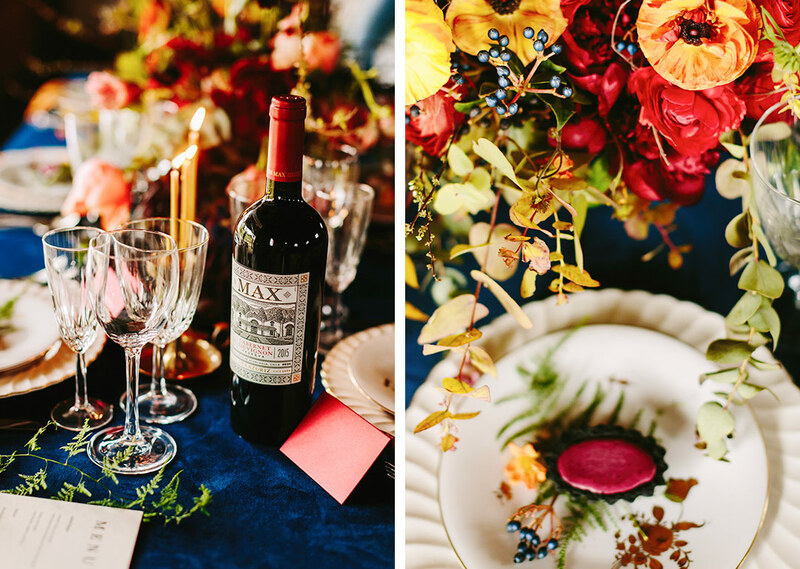 Of course if you’re still looking for those fall shades this season, our Velluto collection comes in Sienna, a burnt orange hue, and Wine, a burgundy shade, both of which will fit the fall just right!